Oncology molecular testing is challenging enough without the added complexity of difficult bioinformatics, variants of unknown significance, high cost, sample requirements and long turnaround times. The MassARRAY® technology combined with the UltraSEEK™ and iPLEX® HS chemistries eliminate these challenges while maintaining the ability to target all the clinically relevant markers from liquid and tissue biopsies. 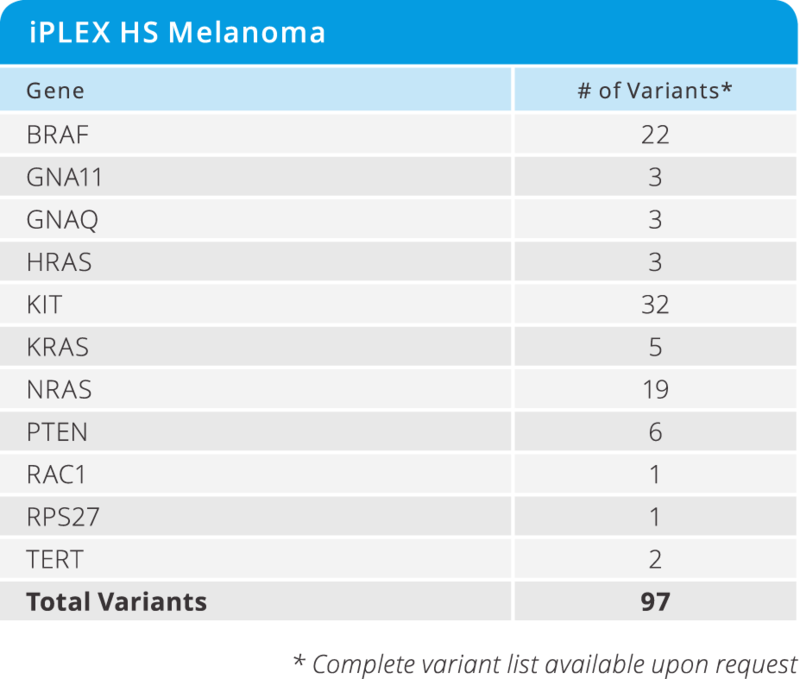 iPLEX HS enables the detection of variants as low as 1% MAF from heterogenous solid tumor samples including FFPE tissue, core needle biopsies, FNA, cytology smears and fine needle aspirates. 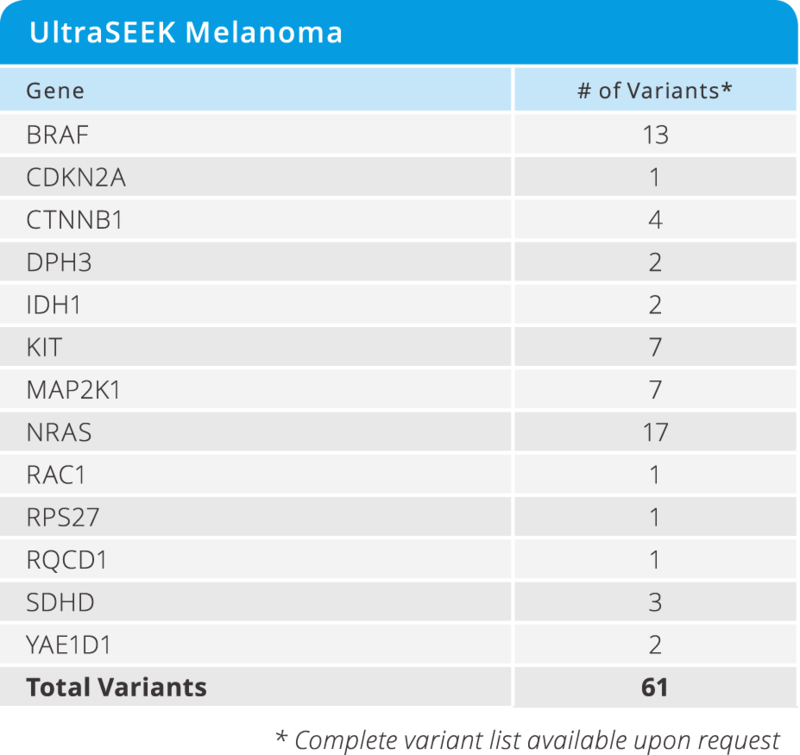 UltraSEEK enables the detection of variants as low as 0,1% MAF from circulating cell free and tumor DNA (ctDNA) as well as from circulating tumor cells (CTC). Detect genetic mixtures, sample contamination, distinguish between maternal and fetal DNA, or monitor transplant success using SNPs instead of labor intensive short tandem repeat (STR) analysis. Utilize a pre-verified assay consisting of 92 SNPs, selected for high MAF across six major HapMap populations and not in linkage disequilibrium, which enables efficient identification of sample mixtures as low as 2%. Validated against the current gold standard STR method. Enhance research in head and neck, gynecological, and dermatological cancers by identifying 19 different HPV subtypes. Utilize minimal input DNA to screen samples with limited availability and perform confirmatory testing.